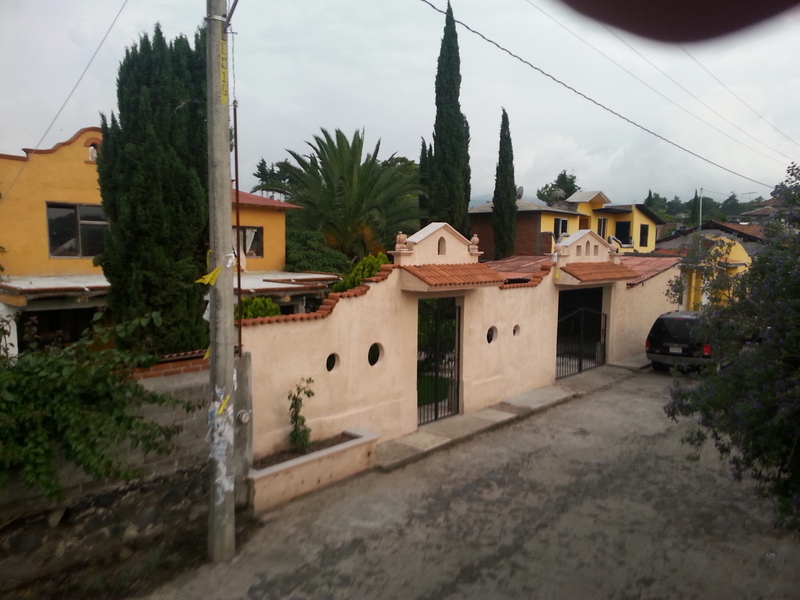 Richard and Sue Murray, who live in Los Angeles, stumbled into Tocuaro on December 26, 2003. It was the Lonely Planet Mexico guidebook, again, that had brought these cultural tourists, who are also ethnic art collectors and even occasional art dealers, to this rural village. In Tocuaro, over time, I met scores of plucky tourists, some collectors, and a few merchants who had read all about folk art and all about masking customs in Tocuaro in their Lonely Planet Mexico guidebooks. Many of these tourists had been smitten by what they had read, and had therefore decided to visit this enchanted village. Many modern crafts are easily traced to their pre-Hispanic origins, and some techniques, designs, and materials have remained unchanged . . . Like so many other Mexican crafts, mask- making dates back to pre-Hispanic times. . . . In authentic use, masks are worn for magical and religious purposes in dances, ceremonies, and shamanistic rites; the wearer temporarily becomes the creature, person, or deity depicted by the mask. The exact meanings of some masked dances performed in indigenous festivals today may be forgotten, but often the dances enact a mythical story intended to bring fertility or scare away enemies or other evil forces. These dances often have a curious mixture of pre- Hispanic and Christian or Spanish themes . . . The Lonely Planet Mexico guidebook provides much more information about the “undiscovered” Mexico, the “unknown” Mexico, the Mexico-off the beaten-path-that- tourists-do-not-visit, than most of the other popular guidebooks. That is why Lonely Planet Mexico is the travel bible—or at least one reliable companion— for so many cultural tourists who ramble through rural Michoacán in search of the unknown, undiscovered, untouristed, “pristine” Mexico. In some cases, the unknown Mexico—and in this case cloistered Tocuaro—portrayed in Lonely Planet is similar to the venerable, timeless, and indigenous Mexico that exists in Mexico Desconocido, and in Cordry’s Masks of Mexico, and in García Canclini’s Mascaras, Danzas y Fiestas de Michoacán. Richard and Sue, like so many other cultural tourists who have read all about Tocuaro in Lonely Planet, and in Mexico Desconocido, and in other publications, had been smitten by these pastoral depictions of Tocuaro. Like so many of these bewitched travelers, they had come to Tocuaro, and like so many of these folks, Sue and Richard would leave their hearts and some of their money in Tocuaro, too. It’s an ironic, and a twisted, and a wonderful thing: the Indian tales, the colorful and regal folklore, have been like the writ of exile for so many humble indios; meanwhile, some of these artesanos—not so many of them, but enough of them to make it noteworthy—have forged a petty social and economic exodus from this exile by appropriating, by retelling in the double-voice the Indian tales, and by embracing the Mexicans and the foreigners who are smitten by those Indian tales as well. The Indian tales incorrectly insist that commerce and capitalism can do nothing but “despoil” authentic indigenous customs. Ironically, capitalism and commerce is also intertwined with and stoked by these Indian tales, and capitalism and commerce sustains many humble, petty artesanos, which sometimes enables them to practice and pass on their customs. In any case, Sue and Richard had been hooked by the description of Tocuaro that they had discovered in their Lonely Planet Mexico guidebook, so they had journeyed along the lakeside backroads for quite some time, looking for this jewel in the rough. Finally, the couple had arrived at this Mecca of authentic and traditional Mexican art. In truth, this cloistered pueblo abuts the main lakeside road, so it should not have been that difficult to find. In any case, now that Richard and Sue had found Tocuaro, they could not and would not have any more troubles finding what ever they were looking for. It is not Times Square or the chic Zona Rosa in Mexico City, but here and there— but not quite everywhere—the signs are posted. Mascaras. Arte y Tradicion. Taller Familiar. Masks. Art and Tradition. Family Workshop. Richard and Sue began to knock on doors, and sometimes their knocks were answered, and sometimes they were even invited inside. In this workshop and in that workshop many very fine and well painted masks, and some not-so-fine and not-so well-painted masks, were mounted. Demons, skulls, male faces and female faces, pigs, bulls, and dogs greeted Sue and Richard at Xavier’s, and at Juan’s, and at Diego’s workshops. Some of these masks were miniatures, and others were full-size. In each workshop, hand-carved Virgins and horses and little duck statuettes were mounted on the walls, and sat on the tables, and mingled with some finished and some half-finished masks. It was all very interesting and very colorful, and Richard and Sue hopped around from this taller to that taller. As they looked at all of these different colorful pieces, they were offered $10 masks for $5, and $50 statuettes for $50, and $200 masks for $400. As they walked around and handled this piece and that piece, and considered this offer and that offer, and bought this mask and that mask, Richard and Sue stumbled into me. They were gringos in this strange land, and I was also a gringo in this strange land. They were from Los Angeles and I was from New York. Nevertheless, they were friendly, and I was even friendlier. They were fascinated by Mexican folk art, and I was writing a dissertation about their fascination. They were glad to talk with me, and I was happy to listen to them. They would be in Patzcuaro that evening, and I would be in Patzcuaro that evening. We agreed to meet at a fancy café in Patzcuaro later on to drink some very fine coffee and talk some more. At that café a few hours later, Richard and Sue really opened up to me; they told me a lot of interesting and revealing things about themselves and about their reasons for going to Tocuaro and for leaving their hearts and some of their money there. Later that evening, I wrote down in my field journal some of these things that Richard and Sue had told me. Their comments shed some light on why and how some artesanos in Tocuaro (and elsewhere) have also managed to find social—and especially economic—succor in the same colorful tales that exile them from their tierra. These travelers implied that their own work is not that creative, original, distinctive, or authentic because there is nothing too creative, original, distinctive, or authentic about the mass- produced cultural products—the digital graphics and movies— that they assemble. In their account, Richard and Sue invoked the old mass society specter, and they suggested that this mass society, and the culture industry in which and for which they worked, alienates them and everyone else. This lament about mass society—and the culture industry—and the related search for authenticity, for cultural integrity and fulfillment in alien and “primitive” cultures is not a radical attitude and the quest for indigenous authenticity is not a radical activity within or outside the academy. In the practical (gringo) realm it is a bourgeois cultural attitude, a lament that undergirds and justifies a Bohemian lifestyle, and Bohemian travel, and Bohemian consumption; this attitude also, commonly, distinguishes affluent professionals from the lumpen hoi polloi. Accordingly, to escape “industrial civilization” and forestall alienation, and to get their creative kicks, creative fulfillment, and creative catharsis, this couple, like so many others, now travels in strange “exotic” lands and consumes “exotic” foreign cultures. They have gone on shopping trips to Bali, and to Michoacán—to Tocuaro (and to other “exotic,” “pristine” places as well). You see, in Mexico—or so this privileged cultural attitude insists—indios still exist who sit on their petates next to their little milpas and carve their ancient masks to please their ancient gods or God. Capitalism and the culture industries have not (completely) colonized and corrupted some remote indigenous places and some remote indigenous beliefs in Mexico. Our industrial society, our customs, our culture, our consciousness are like the Swanson TV dinner, but their agrarian society, their culture, their customs, and their consciousness is not yet prefabricated and mass-produced. And that is why their culture, their customs, and their consciousness— like the true gourmet meal—is so much more authentic and creative and tasty and precious than our own. That is so rare and so precious because mass culture and the culture industries and capitalism have already deflowered and killed and devoured so many arts, beliefs, and traditional practices that existed once upon a time in rural Mexico and in so many other traditional places. Like Sue and Richard, many serious, selective, and discerning gringo and international dealers, curators, collectors, investors, tourists, and other strangers in a strange land want to acquire, to purchase, to possess these precious “authentic” artifacts precisely because they and their “authenticity” is (presumably) so rare, precious, strange, and hard to get. Various art and collectible markets exist in which “authentic” indigenous artifacts, like Mexican masks, are bought and sold. These markets also reflect, express, perpetuate, and put a price tag on this fetish for the fantasy of the uncorrupted, uncommodified, “use- value” authenticity of indigenous and primitive artifacts and cultures. It is so difficult to earn any real money in rural Michoacán these days, and that is why Xavier and some other humble and authentic mascareros in Tocuaro are so willing to get off their petates and sell their humble masks to the eager tourists, discriminating collectors, and other cultural pilgrims that stumble into Tocuaro in search of noble and savage authenticity. Xavier and some of his colleagues in Tocuaro are so good at selling authenticity because they are also authentic commercial artists—and there is nothing shameful about that. They are also so good at selling their authenticity because they are accomplished performance artists—and one needs to be an accomplished performance artist to do well in this field. 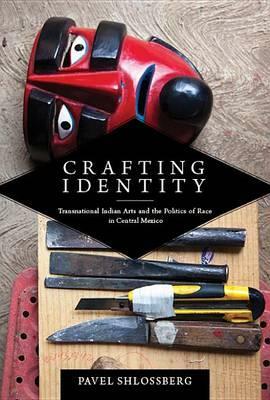 From Pavel Shlossberg, Crafting Identity: Transnational Indian Arts and the Politics of Race in Central Mexico (University of Arizona Press, 2015). Used by permission of University of Arizona Press.